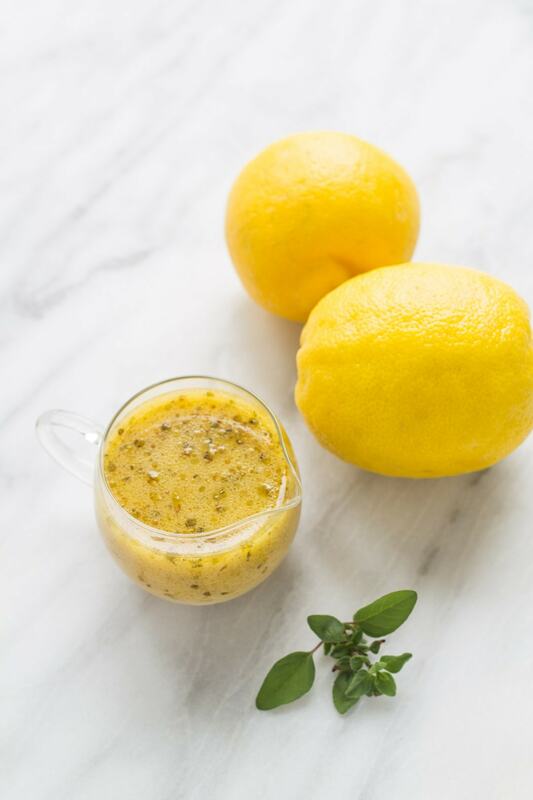 Light and refreshing, this Low FODMAP Lemon Vinaigrette is a delicious way to dress any summer (or any time of the year) salad! 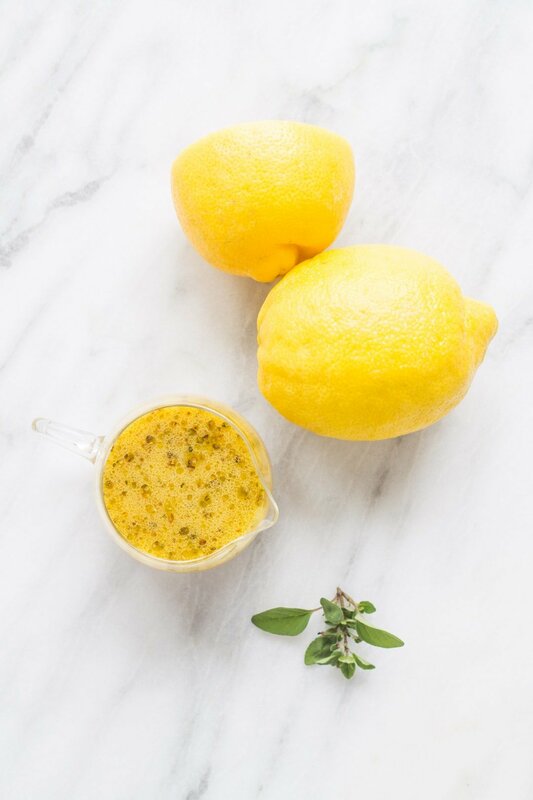 This Low FODMAP Lemon Vinaigrette is one delightful way to dress a salad! It’s light and refreshing and just reminds me of summer, but it can be enjoyed any time of the year! Making your own salad dressings and vinaigrettes is easier than you may think. In fact, I almost never buy bottles of salad dressing anymore. Depending on the specific dressing or vinaigrette I’m making, this formula might vary because I often whip things up by tasting and adjusting flavors as needed. Did you know that substituting lemon may help us reduce our intake of salt? 🙂 I love cooking with fresh lemon juice and zest. 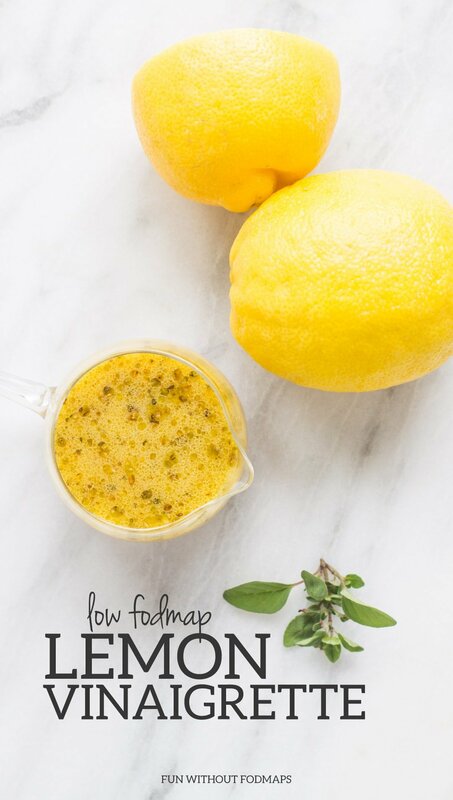 It can add so much brightness and flavor to simple dishes while giving us a healthy dose of vitamin C.
The low FODMAP serving size for lemon juice is 1 tsp. or 6 grams. 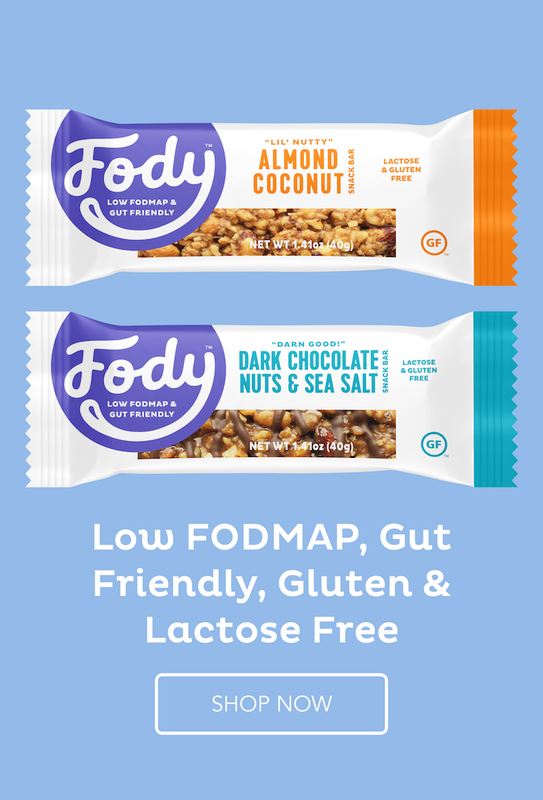 There is no defined upper limit and only trace amounts of FODMAPs were found in lemon juice. 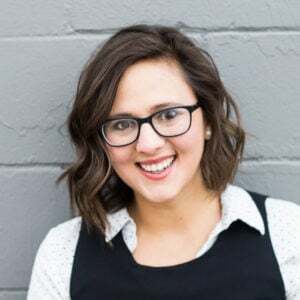 Although many people don’t have issues with larger servings, more than the 1 teaspoon lemon juice per meal may not be tolerated by all individuals following a low FODMAP diet. 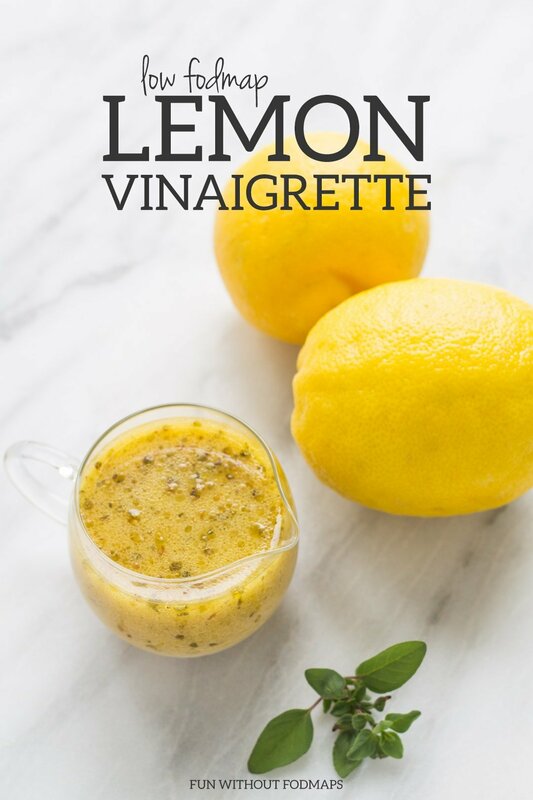 I think this vinaigrette is especially delicious tossed with romaine, diced tomatoes, cucumber, kalamata olives, and grilled salmon or chicken. A yummy grilled chicken option for this salad suggestion is my Low FODMAP Moroccan Chicken. Yum!! Store in the refrigerator in an airtight container until ready to serve. Shake to emulsify before using. Your vinaigrette makes salad interesting again. Thanks! How long can this be stored in the fridge? Can it be frozen, and for how long? Hi Beth! Great question. I recommend using this vinaigrette within a week, if stored in the fridge. I wouldn’t recommend freezing – oil-based foods tend to break down in the freezer. Thanks!